Currently viewing the category: "Blaklader"
Think of it as mid-2000s industrial. Or jobsite chic. 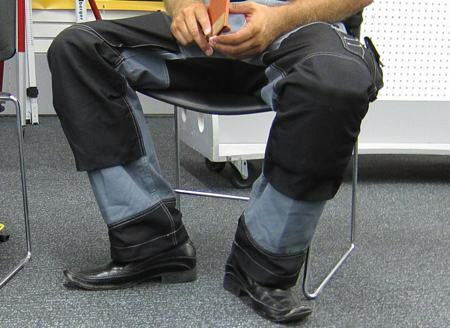 Kidding aside, we checked out the Blaklader pants a few years ago, and besides their love-it-or-hate-it look, they are pretty damn durable and practical, assuming you choose some more durable footwear. The pants you see in the photo are what Blaklader calls their “heavy worker” pants, made of a poly-cotton blend reinforced with Cordura. They’re heavier than they look, too, and they look pretty heavy.